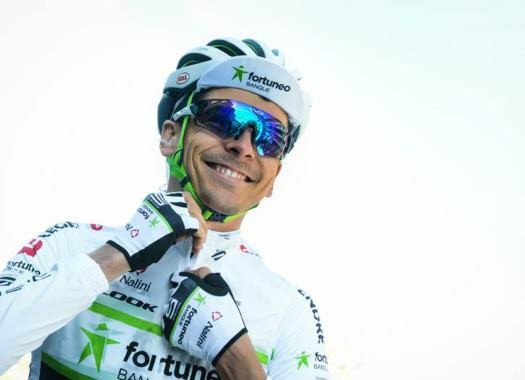 Fortuneo-Samsic will change its name for the 2019 season due to a change of title sponsor. The French team will be known as Arkea-Samsic. The Breton formation announced the arrival of Arkea, a bank-insurance group, as its title sponsor for the 2019 season. Arkea Group's intention is to develop its brand awareness by taking advantage of the showcase of professional cycling. "It is with great enthusiasm and pride that Arkea has become the title sponsor of this great team," said Arkea's CEO Ronan Le Moal. "This name change is a relay passage as our subsidiary Fortuneo now enjoys a well-established reputation. "The Arkea group is experiencing a very strong development of its activities both in France and in Europe. We wanted to support our growth through targeted sponsorship and communication operations. The change of name to Arkea-Samsic is part of that strategy. We have developed very strong links with Emmanuel Hubert's team. We share the same values: a strong attachment to our regional roots, an original profile and a desire to continue growing while remaining true to our values." The team will have Warren Barguil and Andre Greipel as its main men for 2019 and welcomed the name change. "Personally, I am proud of this evolution, which testifies to the Arkea Group's loyalty and the interest that our team arouses," commented the General Manager of the team, Emmanuel Hubert. "Arkea employees showed their attraction to cycling in several ways, such as the creation of their Team Arkea. "I know that Arkea expects a lot from this partnership, our riders are aware of it and work to be successful. We have an ambitious project, we want to be part of the best teams in the world while maintaining a human face due to our Breton territory being historically linked to the bicycle. We want to grow around our WorldTour project."